Police have released CCTV footage of three men they would like to speak to after a suspected arson attack at a farm near Liverpool. 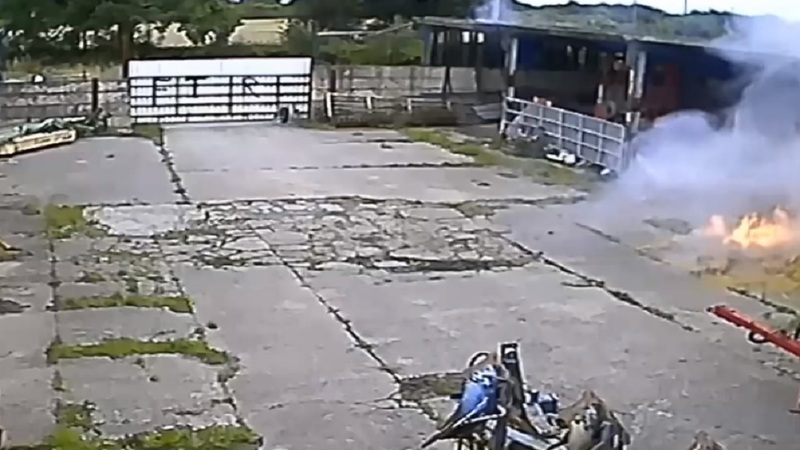 The footage shows the men climbing into the farmyard moments before the fire starts. Emergency services were called out to called to a fire in a hay barn at Home Farm on Chapel Lane in Rainhill at around 4.40pm on Sunday afternoon. No-one was injured in the blaze but there was extensive damage to the barn and agricultural machinery, police said. The fire is being treated as ‘suspected malicious’. Detective Inspector Jason Pye said: “The fire caused a significant amount of damage to machinery in the barn. Thankfully nobody was injured but this was obviously an upsetting incident for the farm owner. Anyone with any information can call Merseyside Police on 0151 777 6812 or Crimestoppers anonymously on 0800 555 111.